January 2: 5 POWER Lessons From 5 Leaders Who Made History On This DAY! Struggles are a part of everyone's life and we all do have to move on, to be able to succeed in life. Moving ahead surely needs a lot inspiration and hence, we bring to you abundance of inspiration from these 5 leaders born this day, whose lives' lessons are sure to make you a better person from now. 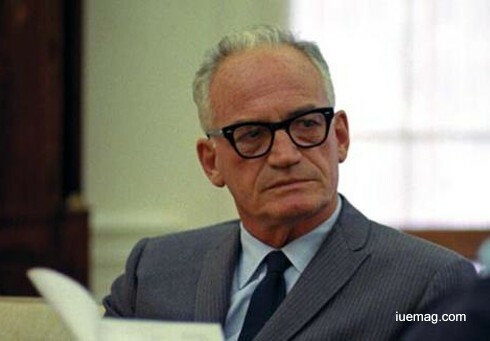 As a youth, Barry Goldwater steered his family mercantile business to success, little did he know that in the future, he would dominate the U.S. Senate for nearly three decades of his life. He would go on to permanently alter and govern conservative American political affairs and would grow to become one of the most scorned yet prominent leaders of the 20th century. He was born into a wealthy household, to Baron M. Goldwater and Hattie Josephine Williams, who were the owners of a large chain of departmental stores around the United States called, ‘Goldwater’s’. He studied at Staunton Military Academy and then enrolled in the University of Arizona for a year. Following the death of his father in 1930, young Barry took over the family business and promoted innovative, reformist practices that changed the future of the company for the better. He was also a radio operator in the early years of his life and played an active part in helping those in the army communicate with their loved ones back home during the Vietnam War. A college-drop out, Goldwater joined the United States Army Air Forces where he was promoted to major general in the Air Force Reserve. His transition from 37 years of military service into the senate, commenced with a chance election into the local City Council. Then on, he began winning one gubernatorial campaign after another, launching an uprising within the Republican Party. A strong anti-communist, he soon lost the elections to Democrat, Lyndon B. Johnson, due to his warmongering and old-fashioned ideologies, for which he was ridiculed for years. Nevertheless, he was elected and re-elected to the US Senate and enforced his belligerent commands over foreign policy, arms exchange and defense policies. He has authored a number of publications in his lifetime including, ‘The Conscience of a Conservative’ and ‘No Apologies’. Today, ‘The Barry M. Goldwater Scholarship’ is presented to college students who wish to pursue careers in the fields of mathematics, science and engineering. Isaac Asimov is best known as the most successful writer of science-fiction and popular science books. Asimov opened the doors for the new age of science fiction writing which the world had never tasted before him. 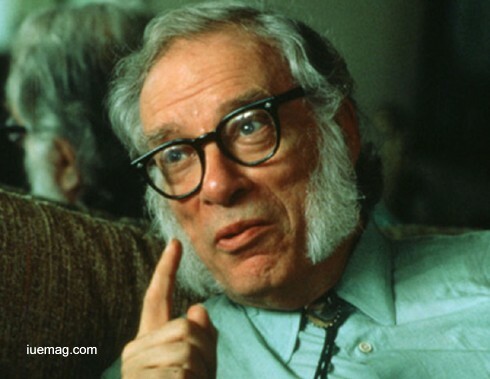 Asimov was highly interested in science fiction as a young kid. He extensively read popular pulp magazines which his father asked him not to read because Asimov’s father felt the magazines were useless. However, he got his way with his father making him see the science factor alive in the magazines which made them educational in nature. His great interest in this field made him pen at the age of 11 when he first started writing stories. When he turned 19, he had honed the art of writing professional science fiction and his stories were sold to science fiction magazines of his time. Asimov is credited with having edited over 500 books. 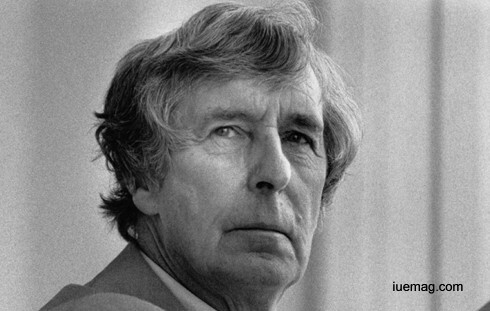 His most successful work was on hard science fiction and his most notable book is the ‘Foundation Series’. Asimov is also widely popular for his easy Physics, astronomy and mathematics books alongside his works on the Bible, William Shakespeare and chemistry. Asimov was a brilliant professor of biochemistry at Boston University. Besides being a prolific writer, Asimov was also an integral part of (President) the American Humanist Association. Asimov is also known for his work as a civilian at the Philadelphia Navy Yard's Naval Air Experimental Station during the World War II. “Robotics” was a term coined by Asimov which went on to become a branch of technology. Sir Michael Kemp Tippett was a prolific British composer of the 20th century, a humanitarian and a pacifist. The entire gamut of his work comprises of five operas, four symphonies, five string quartets, numerous songs and choral settings, four piano sonatas, orchestral works like the ‘Triple Concerto’. His inclination towards music was evident from the very childhood. His first experience of modern music was on hearing Ravel's Mother Goose suite at a concert in Leicester conducted by Malcolm Sargent. From that day onwards, he yearned to be a composer. During the First World War, his family was confronted with a financial exigency, which obliged them to lead an unsettled life moving around Europe. Tippet joined his parents in vacations. Due to Tippet’s atheistic and rebellious demeanor, his headmaster asked him to be removed from the school premises and to be lodged somewhere else in the town. During this time, he bought a copy of Stanford’s musical composition and started teaching himself. Tippet then went on to study at the Royal College of Music in the year 1923. He learned his first lessons in composition from Charles Wood. After the death of Wood, Tippet went to learn music from Dr. C.H. Kitson. However, there were certain discords between the teacher and the student regarding the style and had to quit. He also gained some working knowledge of the orchestra and conducting. Through the libretto of his operas, which he often wrote himself, he faced stern criticism. However, that hardly deterred him from expressing his ideas or political thoughts through his works. Throughout his lifetime, he remained an avid learner of music. As a conductor, he recorded many of his own works. Considered to be the greatest water-colorist to come out of Croatia in the early 19th century, Friderika Slavomira Olga Raškaj, better known as Slava Raškaj, led a short but prolific career and is widely studied by modern artists. Born deaf, her painting allowed certain levels of communication with her family through her younger years. Later in life, she did learn to speak but only at a basic level with difficulty. In 1892, she received her first drawing lesson in Vienna, completing a small set of ink drawings entitled ‘Armor and Weapons I and II’. During this time, she learned watercolor painting and also the Gouache technique, an Italian opaque oil painting method. While many were unwilling to train her, Raškaj eventually studied under the famous artist Bela Čikoš Sesija, a founder of the Academy of Fine Arts in Zagreb. She also studied in Vienna where, in addition to art lessons, she learned to read French and German. After her schooling, she travelled throughout Europe exhibiting her paintings at a variety of exhibitions. At the time, her paintings were unique in their subjects, often featuring popular still lifestyles but with odd combinations of objects. From 1898 through 1900, she began painting darker, more isolated environments, as showcased in her famous painting ‘The Old Mill’ and ‘Dead Nature’. Later in life, she began painting outdoor scenery that would become her most famous works. Though she lived for only 29 years, her paintings are highly regarded today and garnish record prices at auctions. After her death, the Zagreb Education Centre for the Deaf and Dumb was renamed ‘The Slava Raškaj Education Center’. 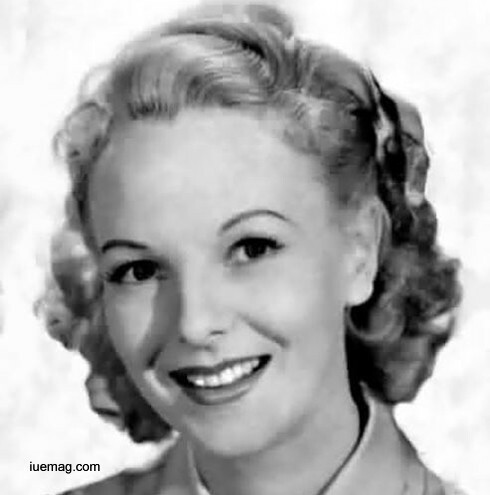 Anna Lee was an English actress, best known for her role of ‘Lila Quartermaine’ in ‘General Hospital’, the longest-running American soap opera in production. Born as Joan Boniface Winnifrith, she was the daughter of a village rector, and god-daughter of actress Sybil Thorndike; her stage name was a composite of Anna Karenina and Robert E. Lee. After training at London's Royal Albert Hall, she began appearing in English films, first as an extra, then working her way up to featured parts. After doing small parts in a dozen British films, she moved to Hollywood to become a star where she became associated with John Ford, appearing in several of his films. Alongside starring in movies, she also volunteered to entertain the allied troops with the U.S.O. during World War II. She also spent several months visiting field hospitals throughout the Mediterranean area. Later, she returned to big cinema and appeared in movies such as ‘Gideon of Scotland Yard’, ‘The Crimson Kimono’ and ‘In Like Flint’. In 1978, although she was nearing retirement age, she won the role of ‘Lila Quartermaine’ in the ABC daytime drama, ‘General Hospital’. A year after she had joined the show, playing the part of Lila Quartermaine, she was paralyzed from the waist downwards in a car accident and thereafter, continued to play the matriarch of the show, in her wheelchair until 2003. She was awarded a Star on the Hollywood Walk of Fame and made a Member of the Order of the British Empire for her contribution to film and television industry. Any facts, figures or references stated here are made by the author & don't reflect the endorsement of iU at all times unless otherwise drafted by official staff at iU. This article was first published here on 2nd January 2017.